The God of Whispers has spread an omnipresent paranoia to every corner of the kingdom of Zhal; his spies hide in every hall spreading mistrust and fear. Adam Osidis, a dying knight from a disgraced house, must choose between joining a hopeless band of magic users in their desperate bid to free their world of the evil God, or accepting his promise to give Adam everything his heart desires. A hard road through the strange fantasy world of Zhal. All men have surrendered their freedom for fear. Now, one last free man must choose. (W) Rick Remender (A) Jerome Opena and Matt Hollingsworth. 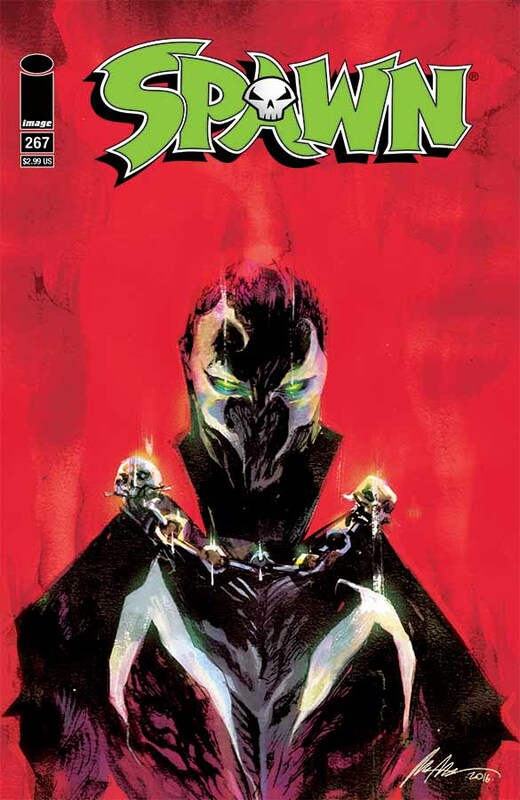 SPAWN #267 As Spawn's costume begins to form, it comes with new powers. But will Al be able to handle those powers? (W and A) Todd McFarlane. What do you think? Full Image Comics September 2016 solicits here.